Essex born actor Stephen Moyer, star of the HBO hit series True Blood created by Alan Ball, has lent his name to the “Stephen Moyer Kids Theatre Fund” founded by Brentwood Theatre in Essex. Moyer became patron of the theatre in 2007. Since then, numerous fans from all over the world have not only made generous donations to help pay for the necessary renovations to the theatre but their donations have helped send children to last year’s Christmas show. The well-known Stephen Moyer fan group the “Billsbabes” united in the Stephen Moyer Webring, has teamed up with Stephen Moyer and Mark P. Reed, administrator of Brentwood Theatre, in the launch of the “Stephen Moyer Kids Theatre Fundraiser”. Brentwood Theatre, a small community theatre and non-profit organization, plays a very important role in the cultural life of Brentwood and the surrounding area. Each year the theatre produces a Christmas show for the children and last year’s show “The Twits” was very successful thanks to generous donations of Stephen Moyer fans. For the 2010 Christmas show “The Plotters of Cabbage Patch Corner”, Stephen Moyer and Anna Paquin have graciously agreed to be part of the play and they will lend their voices to the characters Mr and Mrs Big. In support of the 2010 Christmas show the “Stephen Moyer Kids Theatre Fundraiser” offers fans the opportunity to buy a virtual brick with a personalized inscription. The bricks will be displayed on the “Stephen Moyer Fan Wall” at AllStephenMoyer.com. 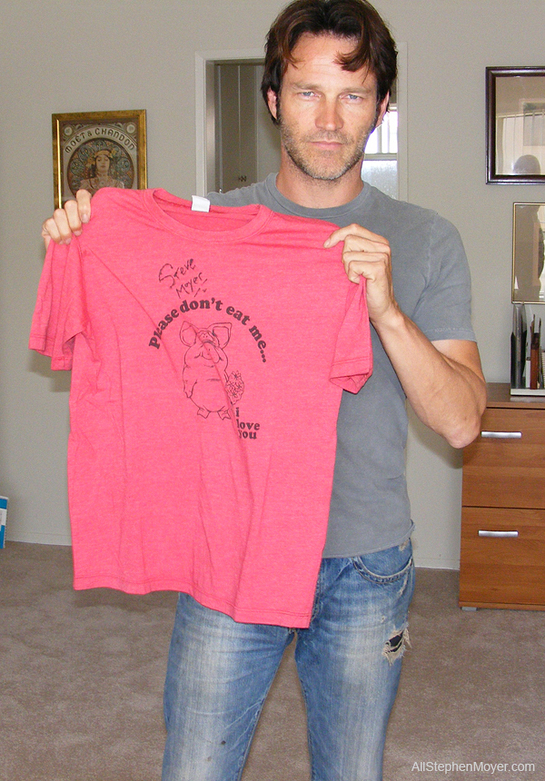 Everyone who donates has the chance to win merchandise signed by Stephen Moyer. Stephen Moyer has signed 20 items to give away including one of his own t-shirts. Stephen also recorded a video in which he thanks the fans for their support. The video can be seen here. 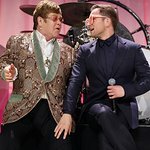 All donations made to Brentwood Theatre by fans of Stephen will be used toward the children’s Christmas show; to provide complimentary tickets and low-cost transportation for the children of surrounding schools that would otherwise be unable to attend and experience the thrill of live theatre. The free tickets for the schools will be presented to the children by Stephen Moyer’s mother, Jean Wilson, chairman of the Brentwood Operatic Society. Visit TrueBlood-Online.com, AllStephenMoyer.com or StephenMoyer.Yuku.com to find out more.